This year for the first time my family and I will be spending Christmas on the island of Maui. 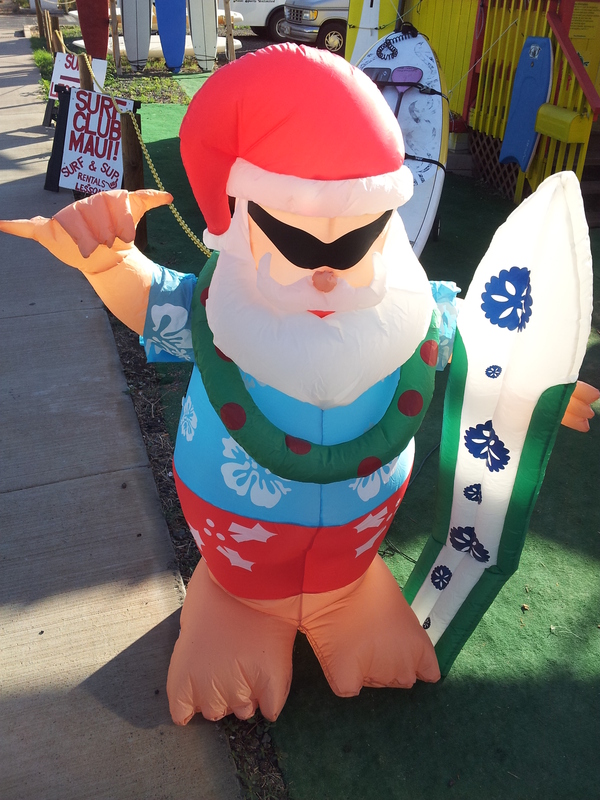 Of course, I am looking forward to a unique Hawaiian holiday experience with sun, sand and Santa. But can Christmas on Maui be more than just substituting commercialized mainland experiences for commercialized island experiences? 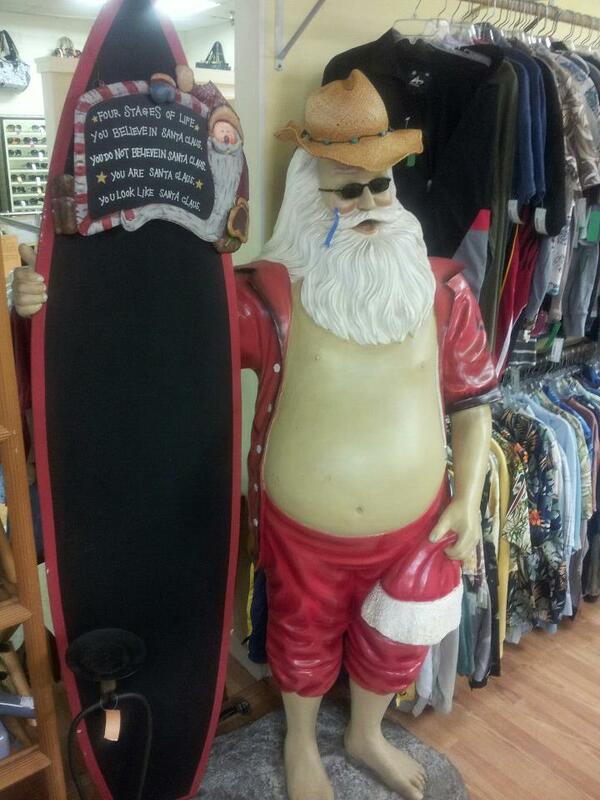 Is there some Maui “Aloha” that can make Christmas even more meaningful? Of course, in preparation for my December visit to Maui, I’ve already Googled “Christmas on Maui” and have a few things on my list (see below), but what about you? What do YOU like to do on Maui during the holidays? I asked Maui resident Erik Blair of ErikEverywhere.com about his favorite things to do on Maui during the holidays. His response was quintessentially Hawaiian: “Some times we get a group together and agree to meet to watch the sunset, or rarely, sunrise.” Don’t let Erik’s suggestion scare you off…not all Maui Christmas activies need to be so cerebral or zen. Christmas lights and decorations and food are great during the holidays as well! Please comment to this post, and during the month of December I’ll update you on my thoughts about Aloha Christmas based on personal experience! Go whale watching since it is peak whale season during Christmas. Join Friends of Haleakala and cut down a Christmas tree (and help protect the fragile environment on this mighty Maui mountain at the same time). And more to come with your help! Again, please leave your comments here with suggestions for things to do on Maui during the Christmas season! This entry was posted in Uncategorized and tagged Christmas, Hawaii, Holidays, Maui by davekresta. Bookmark the permalink. one of my favorites is watching Santa swim in the shark tank at the Maui Ocean Center. I haven’t heard about that! I’ll have to check it out. Does he wear a Santa suit? Yes…listening to whales singing is an amazing experience. 2. Watch Santa coming in via Canoe, or Surfing, or Jet Ski – look out for the schedule. 3. Visit Gingerbread House shows – there’s a couple of hotels that do a spectacular spread of Ginger Bread Houses – I love seeing them! 4. When my kids were small we used to drive around neighborhoods to see all the Christmas Lights decorations. It was fun for us. When the economy got bad, there were less people doing it but I think they are now coming back. It’ also a “burn” on gas, but hey we only do this drive around once a year! In addition to what I said, attend Christmas Luau or go to free shows on the mall that has some Christmas Hulas (usually keikis) It’s always great to see the keiki dance with the music Mele Kalikimaka. The Maui Film Festival usually shows movies that will be nominated for Emmys at the Castle Theater at the Maui Arts and Cultural Center. It is an amazing theater and the movies are frequently great. If u plan to see the sunset, the best way is on a sunset cocktail/music cruise with Kai kanani. That was one of our favorites! U r sooo lucky to b going at Christmas … It was amazing! 3rd Friday up in Makawao Town . It’s very seasonal as it’s a bit cooler upcountry. Thank you Janine…I’ve got it on my calendar and we are going to check it out. Love Makawao Town!